With the start of school just weeks away, parents will soon be busy packing lunchbox meals for the children. 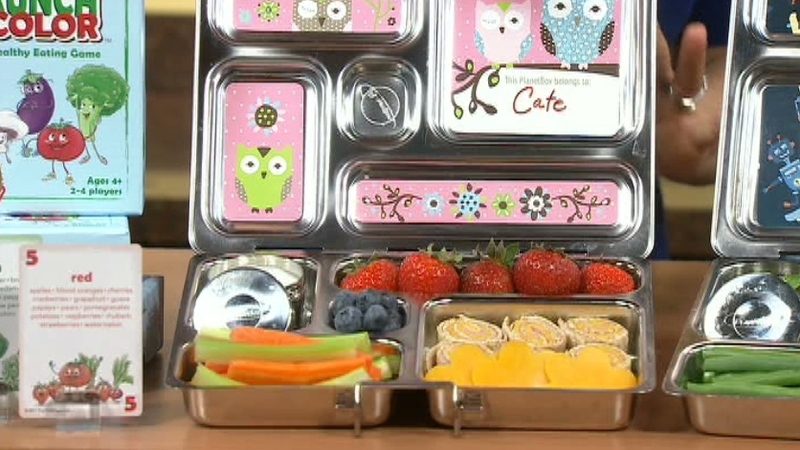 Moms and dads can find it challenging to create tempting lunchbox meals for their kids each day. But the process doesn’t have to be difficult, according to Jennifer Tyler Lee, creator of the award-winning nutrition game, Crunch a Color. “The key is to make it fun for the kids,” Lee said Wednesday on CTV’s Canada AM. “If you get them involved in the process they’re going to eat,” Lee said. Start by introducing appealing colours to each lunchbox meal. That can be done simply by adding brightly-coloured fruits and vegetables to the menu such as oranges, strawberries, carrots and peppers. “Go for three colours, plus a protein and a healthy grain. Use that formula and you’re on your way,” said Lee. Try, as well, to introduce some fun and whimsy into each lunchbox creation. Pack a surprise each day such as a note of love or encouragement for kids from mom and dad. Use cookie-cutters to create fun cheese shapes to decorate meals. “You can do this in advance, and it adds a great, fun touch,” said Lee. These easy, healthy recipes from Lee can also spice up ordinary lunchbox meals for kids who will soon be heading back to school. Load your ingredients into a food processor. Blend it up! Add salt and pepper to taste. Add a little extra olive oil if you like a smoother texture. Enjoy with whole wheat pasta or chicken at your family dinner, then feature as a dip for veggies in your lunchbox the next day. Place the garlic, anchovy, yogurt, Parmesan cheese, olive oil, salt and lemon juice in a food processor. Blend for two minutes. Enjoy with romaine lettuce and homemade croutons, or as a dip for fresh veggies in your lunchbox. Extra dressing can kept in the refrigerator for about a week. Jennifer Tyler Lee, creator of the award-winning dinner game Crunch a Color, shared tips to create healthy lunches for kids who will soon be heading back to school on Canada AM, Aug. 15, 2012.